The world’s workplaces have changed dramatically. Undergraduates from virtually every discipline have myriad employment opportunities. But by adding a Master of Science in Management, they will set themselves apart from the rest of the competition. Belk College’s Master of Science in Management is the first of its kind in the UNC System. Undergraduates from UNC Charlotte, or any college, can extend their educational career for 10.5 months to earn this valuable credential. 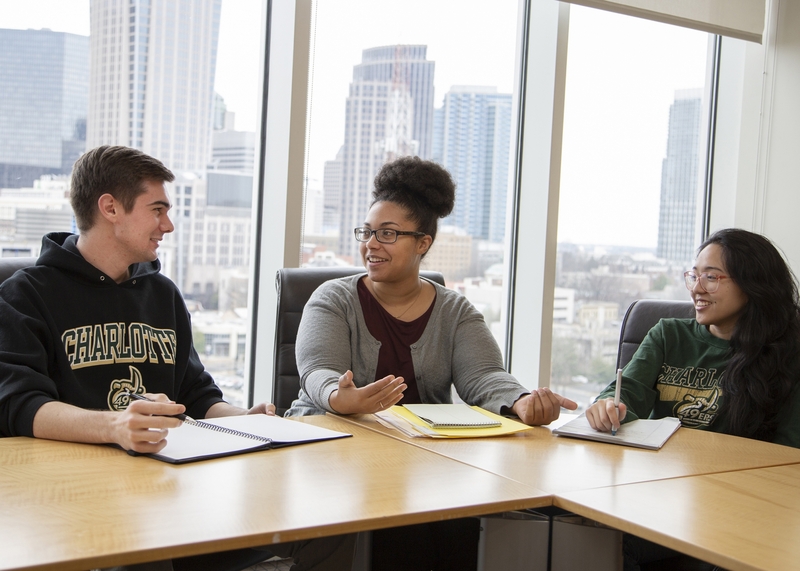 Belk College is taking the lead to prepare UNC Charlotte graduates for the world of work, not only in the Charlotte region, but across the state, nation and worldwide, as many European countries have offered similar management training for years. “Prospective employers value the passion students have for a particular area of study, such as art, history, health, education, sociology or engineering, but they also are seeking job candidates who can make an immediate impact within their organization—through the business acumen, professionalism and leadership skills imparted through our M.S. in Management,” Stivender stated. A music major, she noted she can relate to how students’ passions can drive their futures. Stivender, a clinical professor in economics, is one of the award-winning, highly regarded Belk College faculty members who teach in the program. Students who enroll in the program will acquire an understanding of these foundational skills: financial analysis/reporting, organizational behavior, technology as it applies to businesses, ethics and leadership. Providing an exceptional advising and student support system is a key aspect of the Master of Science in Management Program. Sabrina Brown, assistant director of graduate student services, is working with the enrollees of the initial student cohort to ensure they reach their full academic and professional potential. Brown said the cohort model fosters an effective learning environment, but it enables student growth to occur outside the classroom, which she sees in working with students either one-on-one or in small groups. For example, minor conflict happens as part of team projects, in class as it would on the job. Brown, in her role as an advisor, can help students move toward resolution. Working with students from such diverse backgrounds is exciting for Brown; she sees that as a critical component of the program. Solange Tricanowicz, assistant director for employer relations and career and professional development, also works with students to help prepare them to be career-ready. 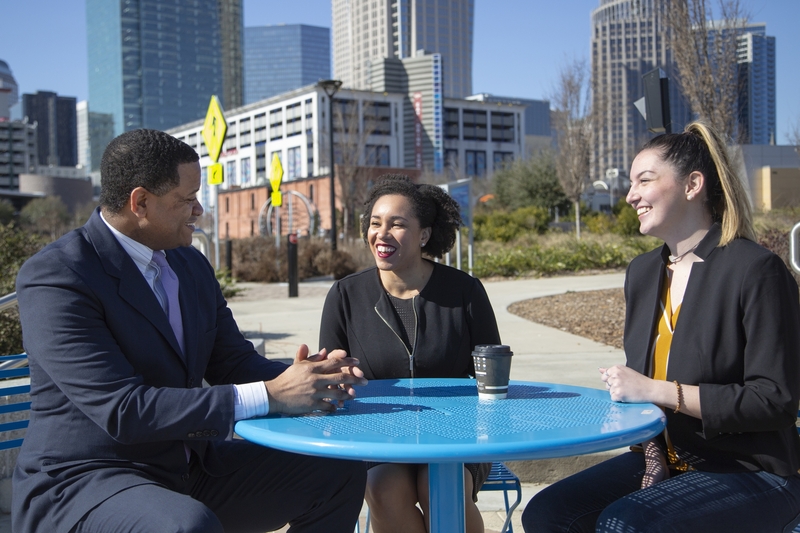 Prior to UNC Charlotte, Tricanowicz worked for the Charlotte Chamber, so she brings a wealth of networking experience to her role with the Master of Science in Management Program. 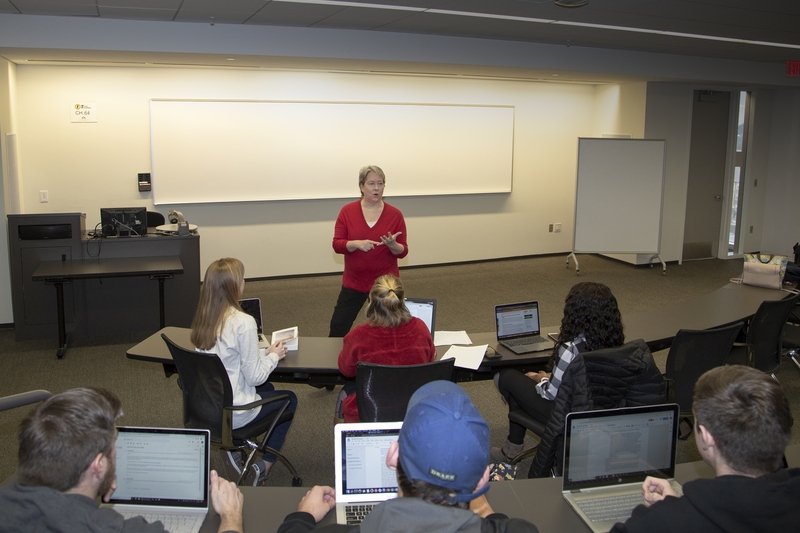 As part of the degree’s professional development component, Tricanowicz conducts a seminar three hours each week, and she is meeting with students four times in the spring on targeted networking opportunities. Three program leaders, working on three very important aspects of program, are the driving force behind the Master of Science in Management. Their goal is to enable those who have completed undergraduate studies from virtually any discipline to acquire the necessary business background to undertake leadership roles at the ready.